Posted December 28, 2017 by Diane & filed under My Books, News. 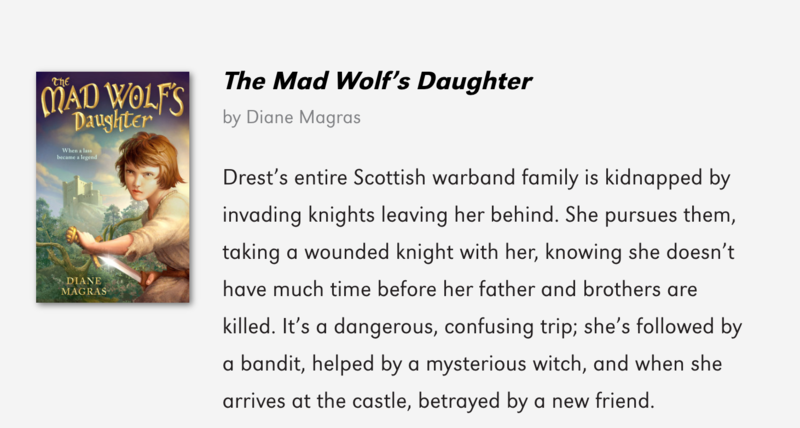 My son’s elementary school principal shared this with me over her holiday break: a link to www.readbrightly.com’s recommended list of middle grade novels in 2018 that included The Mad Wolf’s Daughter (March 6, 2018). I’m deeply touched to be included, but also quite touched by the means through which I heard of it. Maine schools are the best! Posted December 24, 2017 by Diane & filed under My Books. And here’s the full thing! Posted November 19, 2017 by Diane & filed under My Books. 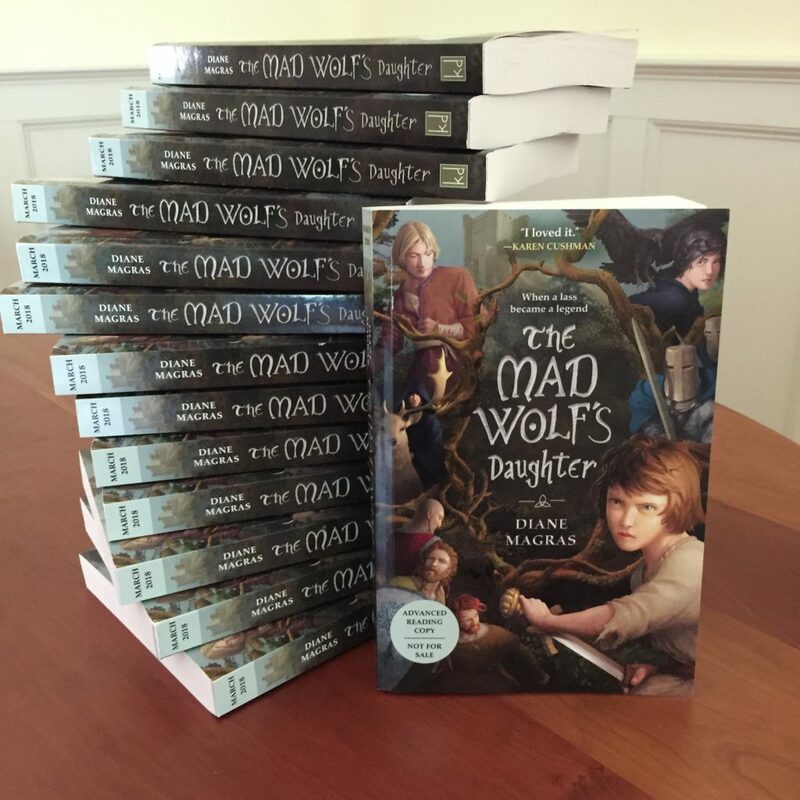 I’m very honored that Penguin Young Readers is treating The Mad Wolf’s Daughter as a lead title in this way, and thrilled to know that school librarians and English teachers—some of the most important people in my childhood—will have an early peek at my debut novel. Posted October 18, 2017 by Diane & filed under My Books. The world of publishing can be a complicated business, a special journey with paths that a debut writer could not easily foresee. As I’ve said a few times when I meet new situations, I’ve learned a lot. And one thing I’ve learned recently is that a cover you love can change. But before you freeze or cry out in shock, just relax for a moment and know that it often happens for the best. If you’ve followed me on Twitter or here on this blog, you’ve heard me gush about the magnificent work of Antonio Javier Caparo. With input from Penguin’s brilliant designer Maggie Edkins, he created my first cover, which you can read about in another post. With input from Maggie, he also created my newest. 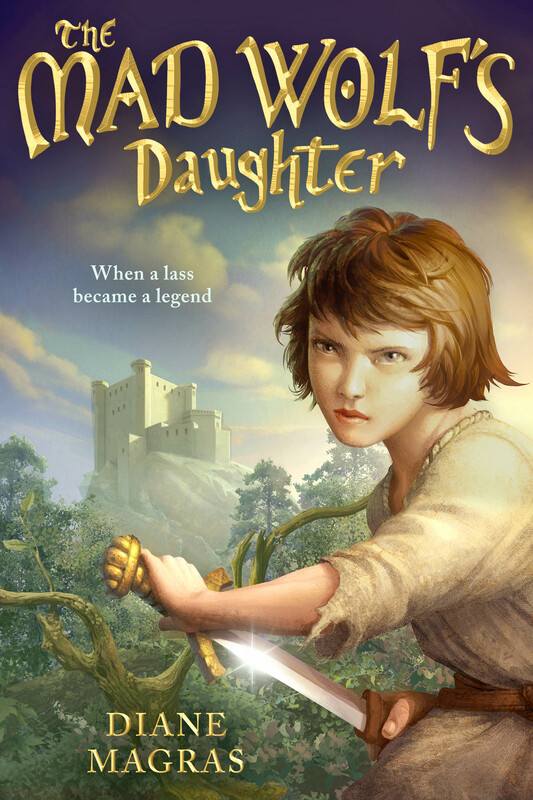 I am honored to have his work in this new cover for The Mad Wolf’s Daughter. 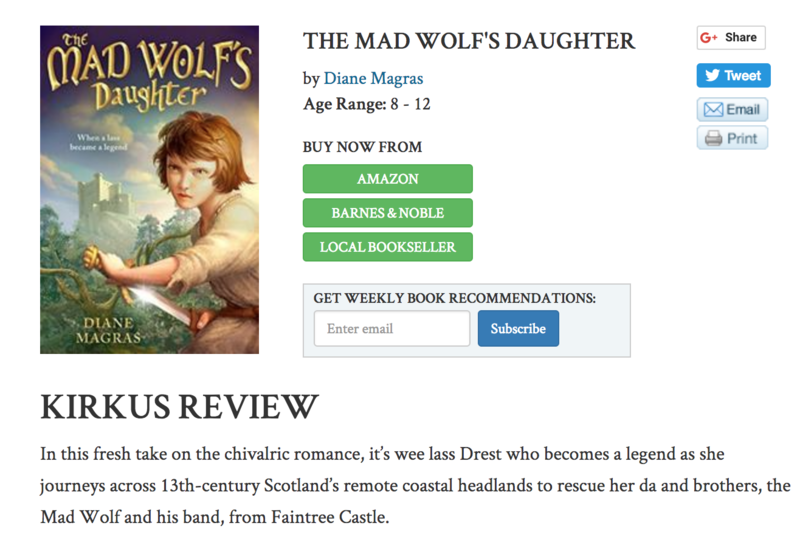 The focus is exclusively on Drest, my young wee lass of a protagonist, so there’s no doubt who the book stars. As much as I loved the dark intensity of the last cover, I love the openness and light of this one. In this, Drest and her beloved sword stand out clearly, and Faintree Castle, her destination, is distinct. Detail is this artist’s forte: Note that gloriously fierce expression in Drest’s face, one that challenges the viewer. There’s no sneer, but there’s a trace of humor in her narrowed eyes. And her grip on her sword shows that she’s ready for anything. And those fingernails are perfect for a lass who grew up where she did. Some of the other characters will appear on the back or the jacket flats of the printed cover. But for now, meet the new cover. And meet Drest, front and center, with her sword Borawyn, just as she appears in the printed page. Posted October 2, 2017 by Diane & filed under Story Bites Writing Prompts. I hope you enjoyed last month’s story bite writing prompt. For October, let’s talk about setting. The setting is where your story takes place, and it’s ultimately description, but there are a lot of ways to show it. Take this castle, for instance. 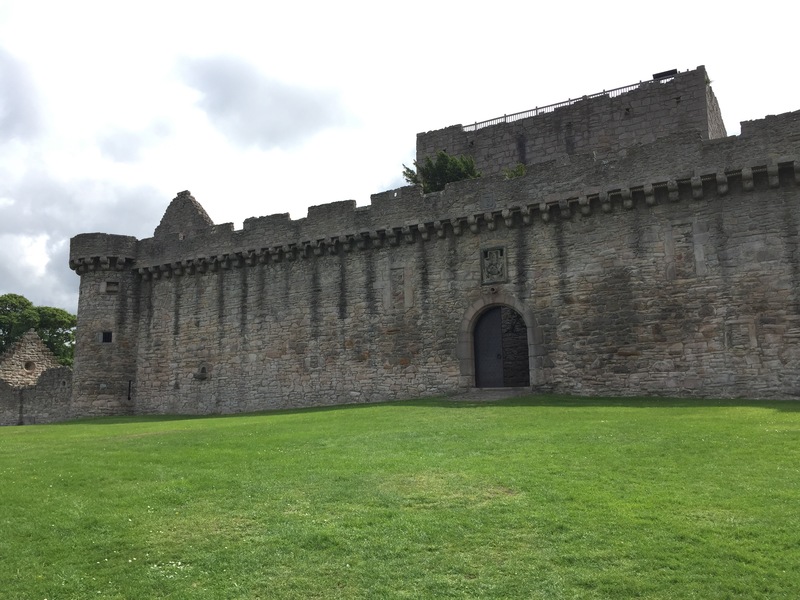 The picture shows the wall that leads up to the inner courtyard and then the keep of Craigmillar Castle. Let’s just focus on this wall. What does it look like? That’s a question without an easy answer. What this wall looks like depends on who’s looking at it. A kid in a school group might look at the wall and shiver with delight at the thought of stepping through into the courtyard. A different kid in the same school group might shudder with unease. How you describe a setting depends on who is experiencing it. For some people, a castle wall would be a magnificent structure, filled with history. For others, it’s a grim and unpleasant reminder of past wars. And for others, it’s a canvas scattered with stories and life good and bad. Choose a character. It can be you. Or it can be that medieval historian I mentioned before, or the kid who’s excited about seeing the castle, or the kid who finds it creepy and intimidating. What does it feel like to approach the castle? How does the grass feel under your feet? Is there a wind? Are you cold or hot? What does the air smell like? Do you touch the castle wall? What does the stone feel like under your fingers? How do you feel looking at this castle and knowing you’re about to step through that doorway? Eager? Excited? Nervous? What do you think you’ll find on the other side? 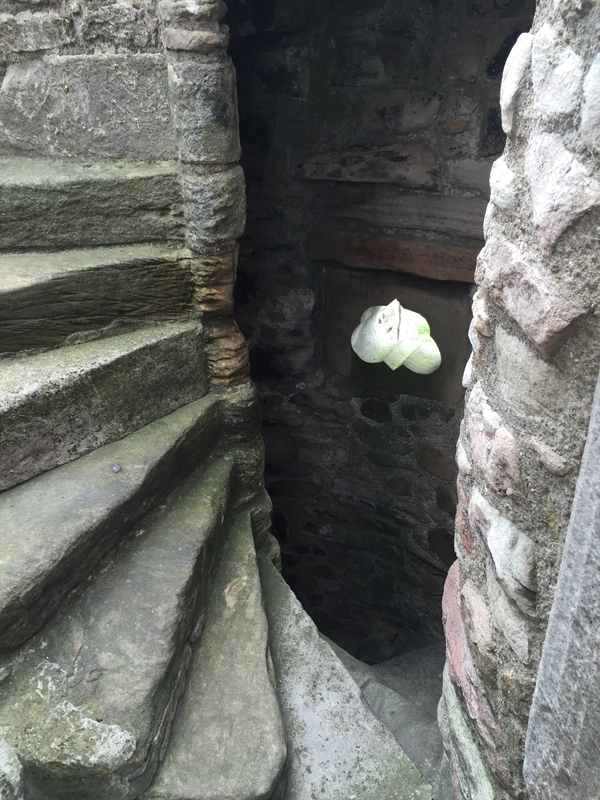 For this story bite, answer as many of these questions as you’d like, or come up with your own questions and answers about the castle. Write a paragraph (it can be just two sentences if you want). Remember how you or your character is feeling. Put your mind in the scene. 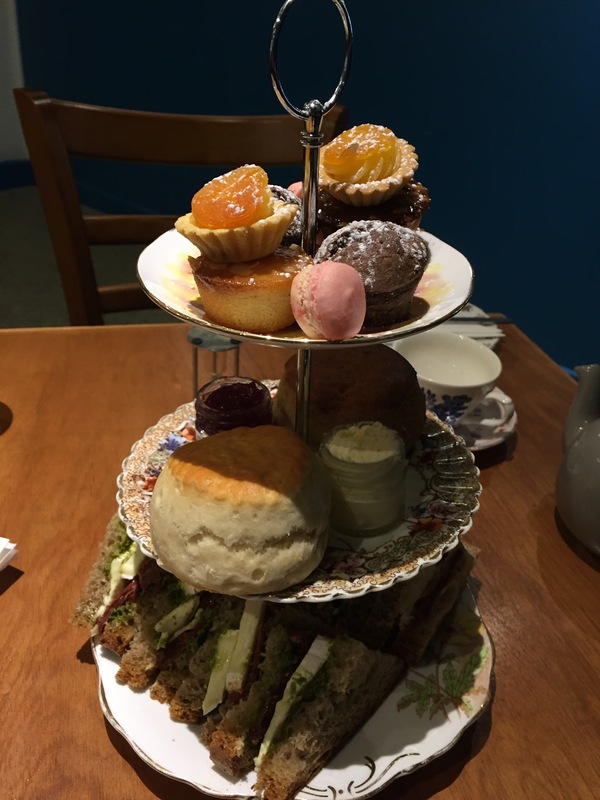 Each month, I’ll post a story bite that I’ve received the month before and say a few things that I like about it. Posted October 1, 2017 by Diane & filed under My Books. 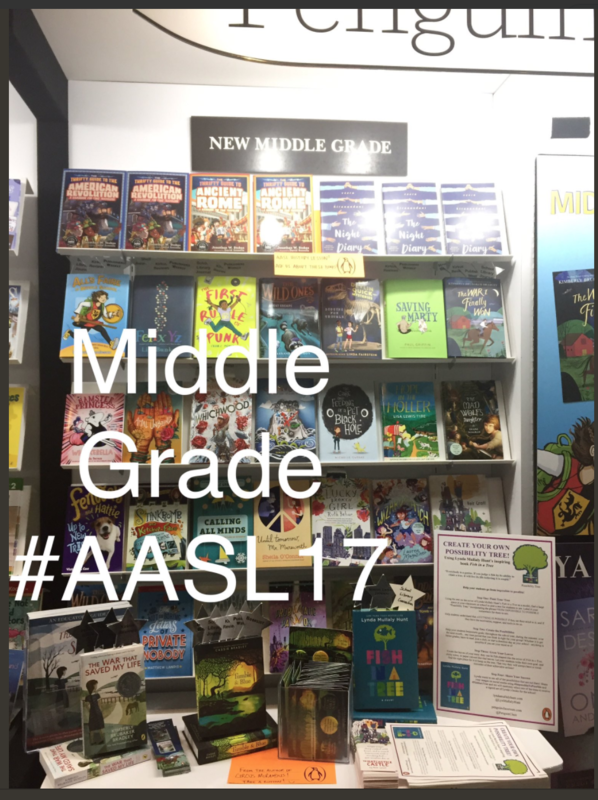 I have my first review, and in the form of One Minute Books, a librarian’s vlog that recommends YA and MG novels for patrons. It’s pretty amazing to hear someone other than my beta readers or my agent or editor talk about my characters! Posted September 25, 2017 by Diane & filed under My Books. Advanced reading copies. The famed ARCs. Also known as galleys, these are the first appearances of a novel into print. ARCs are used to introduce a book to reviewers, awards committees, and readers (with an eye to publicity and future purchases). But at their core, they share an author’s fictional world with a selectively chosen few prior to the publication date. Picture for a moment the years that go into a book’s creation, starting with writing (draft after draft), then revision (usually more than once), then querying (first for an agent, then for an editor), then editing, copyediting, and proofreading. Authors spend many hours on a manuscript throughout this process, early mornings and late nights. We’ve only only seen our words in the sterile confines of a file on a computer monitor or on 8 x 11-inch pages printed from that file. And suddenly it’s a book. The author’s own words that once lived exclusively within a digital file now fill the pages of a real book. My ARCs arrived late last week and I have a plan for every one of them. 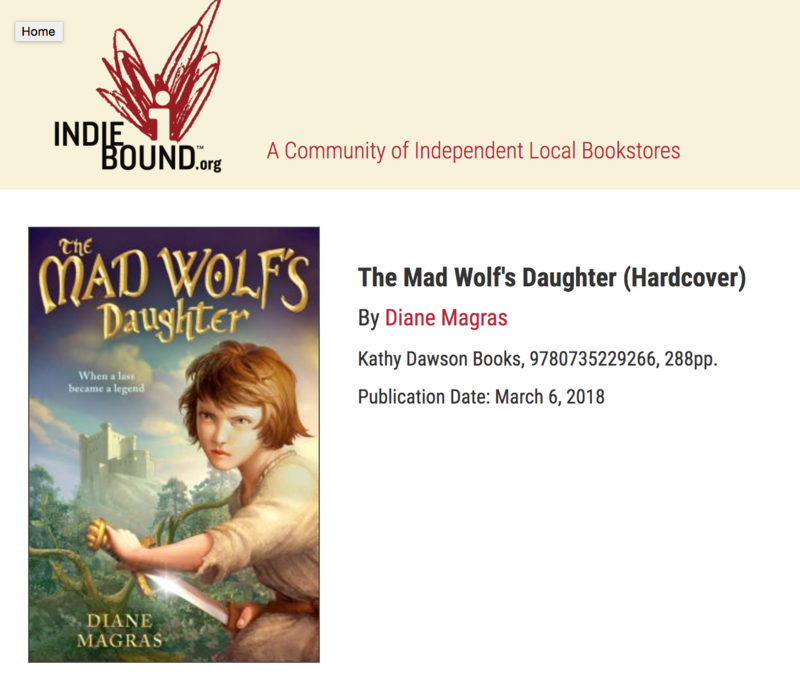 My readers (husband and son) will get one, and also my critique partners and various interested parties: librarians and teachers and a fellow author who sent me the ARC for her novel last year. My publisher is sending out others—many—to reviewers, awards committees, and readers. 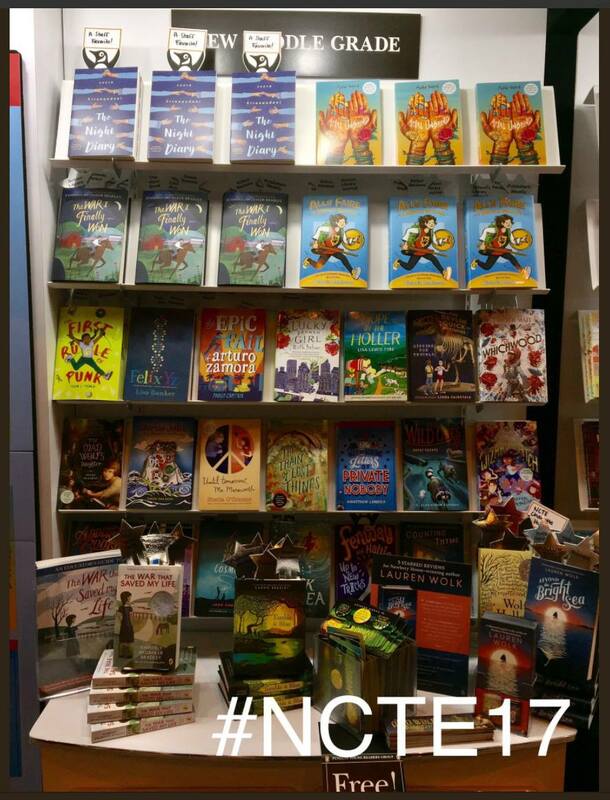 A number of ARCs will be appearing at New York Comic Con next month. 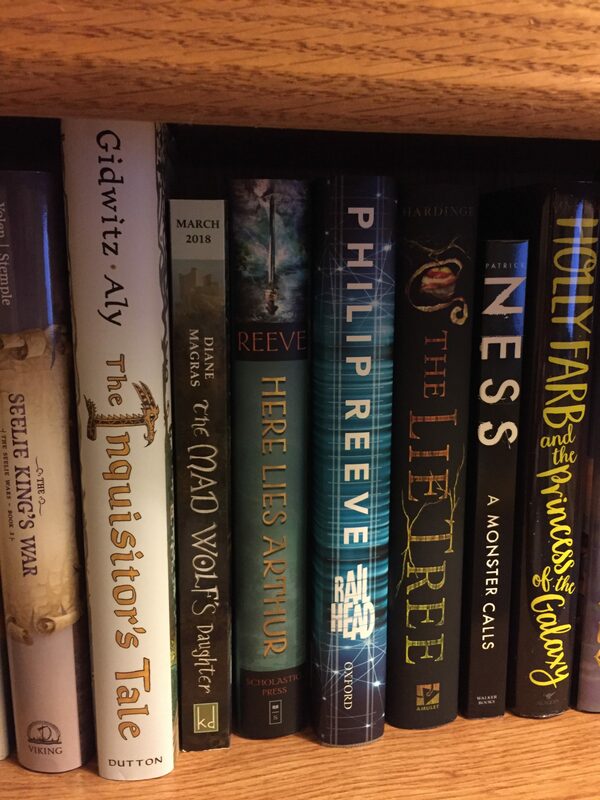 The ARC is when a book first starts going out into the greater world. It’s both exhilarating and a bit terrifying (because of course you want everyone to love your wee bairn). But it’s also an important milestone in an author’s life. My next milestone is in five months and 11 days: the publication date. I’ll share more reflections then.